This is a reminder that Summer 2019 is the last semester you will be able to teach in Blackboard. After the Summer 2019 session, you will be unable to access Blackboard. Summer 2019 courses have been created in Canvas. 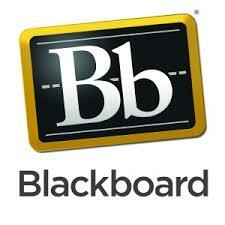 If you are still teaching in Blackboard, you must request a Blackboard course site. The Blackboard Request System can be found in the upper, right-hand corner of Blackboard > Course Site Request > Blackboard Course Site Request. This will walk you through the steps to request a Blackboard course site for summer 2019. We highly encourage you to begin work in the Canvas LMS. If you need Canvas training, attend one of our online trainings by registering on our workshops calendar. We offer training on Canvas basics, Rubrics, Canvas Grade Center, Assignments, TurnItIn, Panopto 101, Zoom, etc. If you cannot attend one of our trainings, you can also refer to our Support Page or the Canvas Community Guides. We are hosting a Canvas conference at the Kauffman Conference Center on July 26, 2019. This is a free event for you to learn more about Canvas. You can register on our Training Calendar. If you haven’t already, you can request a Canvas sandbox by signing into Canvas > click the question mark on the blue navigation bar > Canvas Request System > Sandbox Request. You can request more than one sandbox. If you’re ready to move your Blackboard course to Canvas, you can also use the request system “BB Site Conversion Request” to have your Blackboard course uploaded to Canvas. This process may take 24 hours to process. You can also follow the steps on the Migrating a Course from Blackboard to Canvas article to import the course on your own. This will import the course after a few minutes. Please let us know if you have any questions during your transition from Blackboard to Canvas.